Volume 50: The End is Nigh! As I sit and write this, my 50th post for MayoNoise, the metallic corners of the internet are all a-buzz with the announcement that Black Sabbath will embark on their final world tour. This final trek has been officially dubbed ‘The End’, and it was announced via a striking advert that reads “THE FINAL TOUR BY THE GREATEST HEAVY METAL BAND OF ALL TIME”. Listed just under that pronouncement are the names OZZY OSBOURNE, TONY IOMMI, and GEEZER BUTLER. Bill Ward’s name is conspicuous in its absence. If you read my blog, you know this already. You also know why Ward’s name isn’t on the poster. It’s early yet; maybe they will wrap the tour in Birmingham and have Ward play that set, or a short set at the end of the show(s)… Hopefully they will do the right thing; I sincerely hope everyone involved can find a way to do end Black Sabbath that will include Bill Ward. 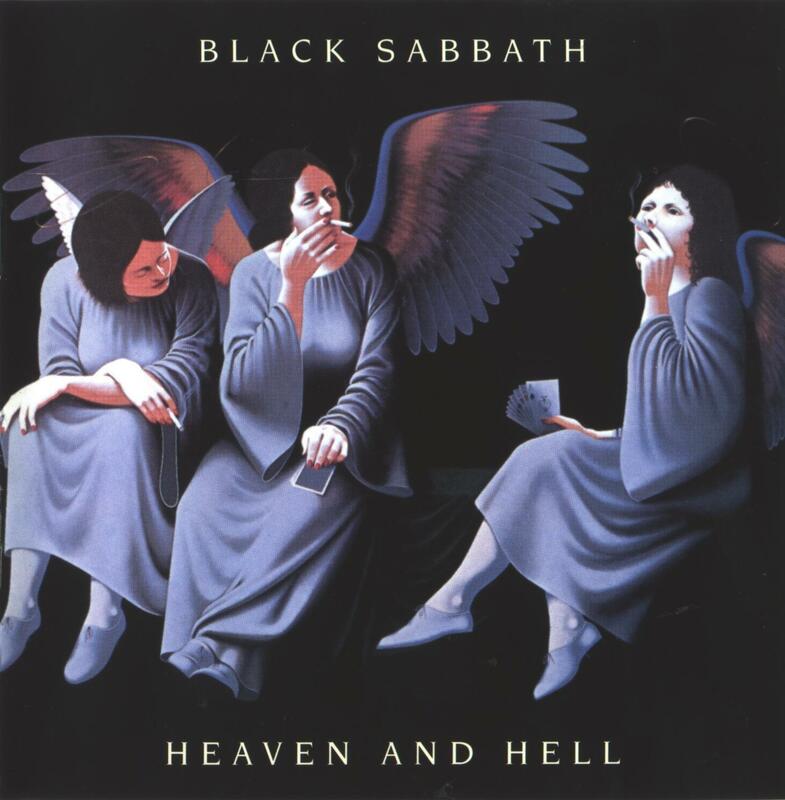 But regardless; Black Sabbath have announced ‘The End’, and after The End, for me, Metal is over. Two days previous to announcing ‘The End’, Lemmy ended a Motorhead set in Austin, Texas after just three songs, saying “I can’t do it” and walking off the stage. Cancelled gigs and postponed tours have become commonplace for Motorhead since 2013, when a plethora of health issues began to plague their fearless leader. Lemmy has stated that he’ll probably die on stage, and, looking back over the last 7 days, it looks like Lem meant what he said and said what he meant. As ever. “I don’t wanna live forever!” indeed. Still, how sad was it to see Lemmy, who turns 70 in December, hobble off stage, with the aid of a cane, after apologizing to the Texas crowd. Lemmy: We love you. Go home and take it easy. Job done. Bruce Dickinson and Tony Iommi have had recent cancer scares; Malcom Young succumbed to dementia. Bun E. Carlos and Bill Ward have both had to watch their bands carry on without them due to diminished physical capabilities brought on by aging (and, in the case of Ward, likely compounded by years of substance abuse). Craig Gruber, AJ Pero, Allen Lanier, Trevor Bolder, and RJD… It’s as if the Grim Reaper stepped out of one of the gazillion album covers he adorns and began stalking our heroes, ending their lives and/or careers. Who will be the Figure in Black’s next Chosen One? Motorhead resumed the tour in St. Louis a few days after the Texas walk-off… but how much longer can he soldier on? 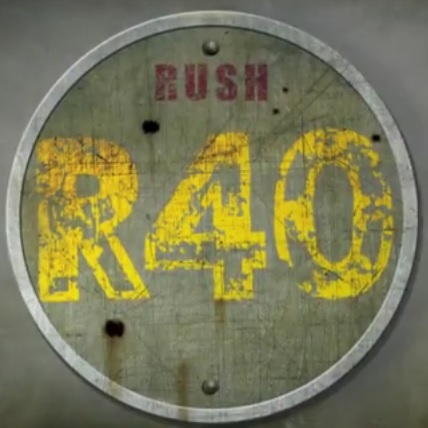 Some of them are growing old gracefully: Rush are acknowledging that playing such physically demanding music gets tougher with the passage of each year, and are tailoring their final years to accommodate this reality. If ‘Clockwork Angels’ is the last Rush album, I’m ok with that. And how long can Iron Maiden continue to perform at their standard level of intensity? Their current strategy of staging shorter tours with longer breaks will buy them a few years, but cancer has already intervened once… As far as their current music, I don’t know what to make of IM’s latest 92-minute opus; it will probably take me the next five years to absorb it. Motorhead may now have no choice in the matter, but if they are in fact all done, they’ve left us with a real scorcher of an album in ‘Bad Magic’, with music full of piss and vinegar, and lyrics filled with thinly veiled goodbyes. Now would be an excellent time to end it. I mean right now. 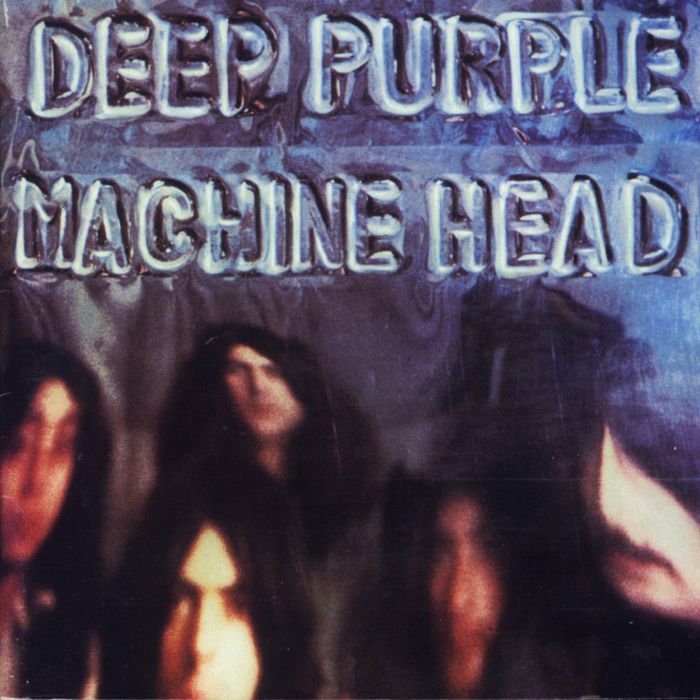 Deep Purple’s ‘Now What? !’ album is one of their very best records, but the band are planning to do another. Don’t! End your 40+ year career on a high note! Don’t wind the band up with another ‘Bananas’! And I really don’t want to live in a world where a Cheap Trick album exists that does NOT include Bun E. Carlos on the drums. Their last record, ‘The Latest’, was strong; in fact, all of their albums since ‘going indie’ in 1996 have been strong… But a Bun-less CT album will be unwelcome in my home. AC/DC may have hung around for one album too many; ‘Black Ice’ broke records across the globe, but ‘Rock or Bust’ wasn’t quite the global phenomenon expected, and, while I like the album a lot, an AC/DC album without any contributions from Malcom Young needs to be considered carefully… Also, Angus Young, everybody’s favorite naughty schoolboy, is now 60 years old… Class Dismissed! King came back with a statement calling Lyman’s remarks ‘business suicide’, and he was right: The 2015 Mayhem run was the last. But Lyman failed to acknowledge the lack of young bands developing into headliners over the past 20 years. During the eight year existence of his festival, which launched in 2008, the festival organizer soon found himself resorting to adding ‘older’ bands to key positions on the bill. Lyman wouldn’t have to resort to costly ‘grey, bald and fat’ bands if there were younger bands capable of filling arenas. When the old guard is gone, who’s gonna sell tickets? It saddens me to think that, in our lifetimes, we will live in a world with no Lemmy, no Alice Cooper or Ozzy, no Jimmy Page, Ritchie Blackmore, Rob Halford… No Schenkers, no Youngs… No larger-than-life characters, no living legends, no more heroes. Of course we’ll still have Dave Grohl, but he’ll have no one to jam with! Slash, maybe? Kiss will still be around though. I’m willing to bet that Gene Simmons has been grooming his son Nick for years to take over as Bat Lizard 2.0. The inevitable reality TV show to find the next Starchild will surprise no one. Most of my favorite bands originated in the 1970s. That they survived the MTV ’80s and the alternative ’90s is nothing short of a miracle. I am grateful that they’ve been able to continue their careers so far beyond their original expiration dates. Back in 1978, no one would have guessed that any of these bands would still be touring and releasing viable music in 2015. I value everything they have given us over the last three or four decades, both good and bad, and I truly wish it could go on forever, that all of my heroes were immortal. 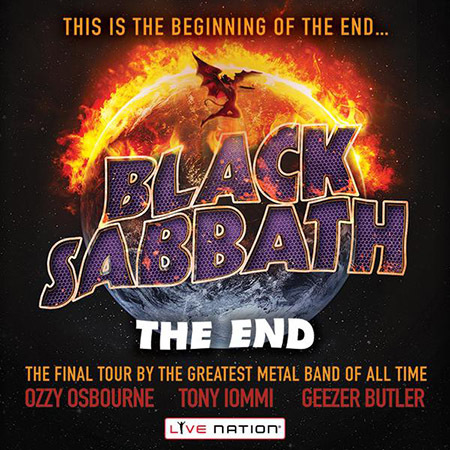 But when Sabbath reaches the end of ‘The End’, it will likely be 2017. By then, my friends, the glory days will be well and truly over. How perfect that the band that started it all will be the band that presides over the funeral services. Punk Rock was the best thing that ever happened to Heavy Metal. Like the comet that struck the earth killed off the dinosaurs, Punk’s impact destroyed the status quo and wiped the slate clean for rock music to reinvent itself. Punk slayed the arena gods of the 70’s, and demanded that you didn’t have to be a musical genius to express yourself musically; anyone could form a band, and everyone should form a band. Ultimately, Punk rock’s success doomed it to failure, as it eventually assimilated into the very thing it was programmed to destroy: the mainstream. Of course, during Punk’s brief reign, the Metalheads were still out there, both fans and bands, biding their time, awaiting their moment. Punk didn’t kill Heavy Metal; it just drove it underground. In one such underground haven, a hall called The Bandwagon, Metal had found a place to weather the Punk rock storm. 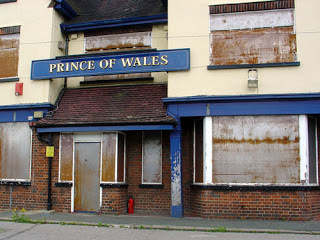 Attached to the side of the Prince of Wales Pub at Kingsbury Circle, London, this unlikely setting would become Ground Zero for the Rebirth of Heavy Metal. Neal Kay was a true believer. As the DJ at the Bandwagon, he created and cultivated a haven for Metalheads, giving them a place to gather and listen to the music they loved through one of the loudest PA systems in London. The Bandwagon was always packed to the rafters, and Kay knew he could make it even more popular with the support of the press. So Kay began calling Sounds writer Geoff Barton, the paper’s resident hard-rocker, and inviting him down to cover the bandwagon. Barton finally paid the Bandwagon a visit, and was stunned by what he saw. Heavy Metal was alive and kicking in at least one place in Punk-ravaged Britain. He wrote a piece on the scene called ‘Wednesday Night Fever’ which ran in the August 19, 1978 issue of Sounds, one of the UK’s leading music papers. Kay also convinced the weekly to publish a Heavy Metal chart, solely based on requests the DJ received from the regulars at the Bandwagon. Most of what appeared on the chart was music by bands from the pre-Punk era: UFO, Priest, Rush, Scorpions, Rainbow. Suddenly the Bandwagon, and Heavy Metal in general, was receiving coverage by one of the most important music papers in the country. In London’s East End, a band called Iron Maiden was struggling to secure gigs outside of their own neighborhood. The band hoped that recording a demo would help them widen their reach. 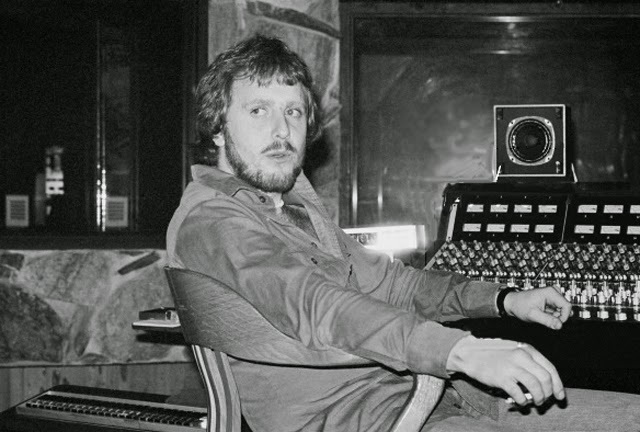 Four songs were laid down on New Year’s Eve, 1978 at Spaceward Studios in Cambridge. The members of the band were Bandwagon regulars, and eventually they handed a copy of the tape to Neal Kay, not in the hopes that he’ll play it, but hoping it might help them get gigs in the area. Kay is floored by the tape, and begins playing the track ‘Prowler’ regularly. The Bandwagon regulars eat it up. ‘Prowler’ debuts on the Sounds HM chart at #23, but by April 21st, the song tops the chart. Iron Maiden receive national exposure for the first time. April 1979: Iron Maiden’s ‘Prowler’ demo tops the Bandwagon HM Soundhouse chart in Sounds. The band play their first gig at the Bandwagon. May 1979: Neal Kay books the three biggest bands from the emerging scene: Angel Witch, Iron Maiden, and Samson, for a gig at the Music Machine. Angel Witch opens; Samson headlines. Geoff Barton covers the show for Sounds with a double-page spread titled ‘If You Want Blood (and flashbombs and dry ice and confetti) You’ve Got It’. The article’s subtitle, ‘The New Wave Of British Heavy Metal: first in an occasional series by Deaf Barton’, contains the first known use of the term “New Wave Of British Heavy Metal”. Def Leppard release a self-financed EP on their own record label. BBC DJ John Peel gives the track ‘Getcha Rocks Off’ repeated airings, and the 7″ sells well enough for legit labels to take notice. August 1979: Def Leppard’s gig at the Paris Theatre in London is recorded and Broadcast over BBC Radio. The Tygers of Pan Tang release their own self-produced EP on Neat Records. It is the fledgling label’s third release, and its first Metal record. Important singles from White Spirit, Raven, Venom and Blitzkrieg would follow in the next few months. Neat emerges as the most important independent label of the NWOBHM era. September 1979: The still un-signed Def Leppard open for Sammy Hagar at the Hammersmith Odeon. 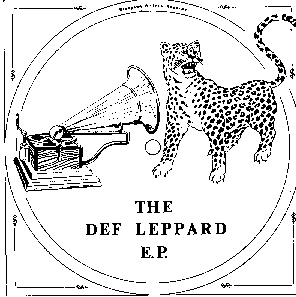 October 1979: Def Leppard record an in-studio session for Tommy Vance’s Friday Rock Show. Def Lep also secure the opening slot on the UK leg of AC/DC’s ‘Highway to Hell’ tour. Leppard are now widely regarded as the NWOBHM’s ‘next big thing’. 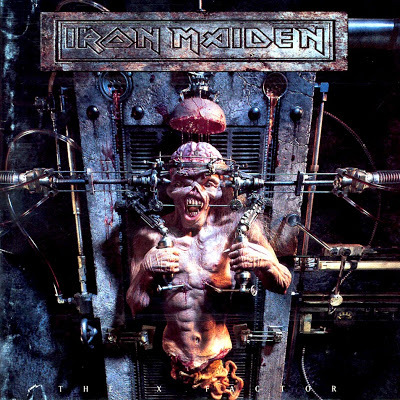 Iron Maiden appear on the cover of Sounds; the band begin negotiating with EMI days later. Trespass release the self-produced single ‘One of These Days/Bloody Moon’; Praying Mantis Release their self-produced ‘Captured City/Johnny Cool’ single, and appear on Vance’s Friday Rock Show. November 1979: Samson record an in-studio session for The Friday Rock Show. 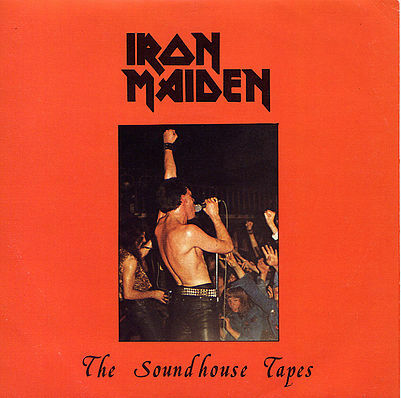 Iron Maiden, still in the process of closing a deal with EMI, press three songs from their demo tape onto 7″ vinyl, and release ‘The Soundhouse Tapes’, named for Neal Kay’s Bandwagon. The EP is available via mail order only; the band sell through 5,000 copies in just a few weeks. Def Leppard sign with Phonogram. 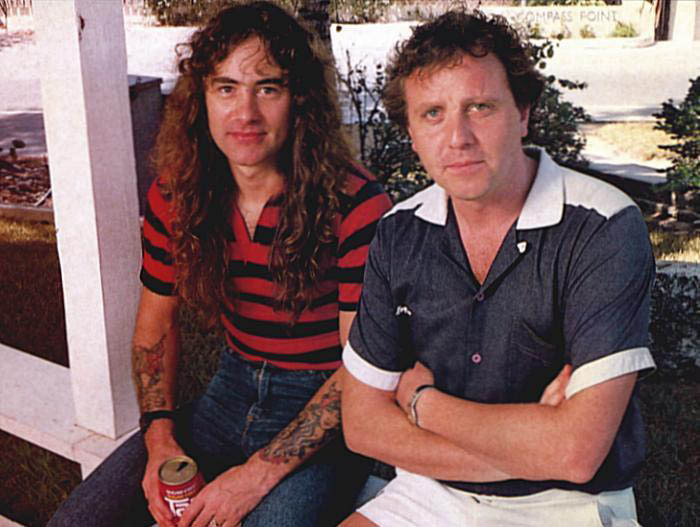 The UK leg of the AC/DC tour ends in November, with four nights at the Hammersmith Odeon; Rick Allen celebrates his 16th birthday on stage at the Hammy O. Leppard release 2 demo recordings as their first single for Phonogram, ‘Wasted’/Hello America”. It peaks at #61. December 1979: Iron Maiden record an in-studio session for The Friday Rock Show. They finalize and sign their EMI deal. 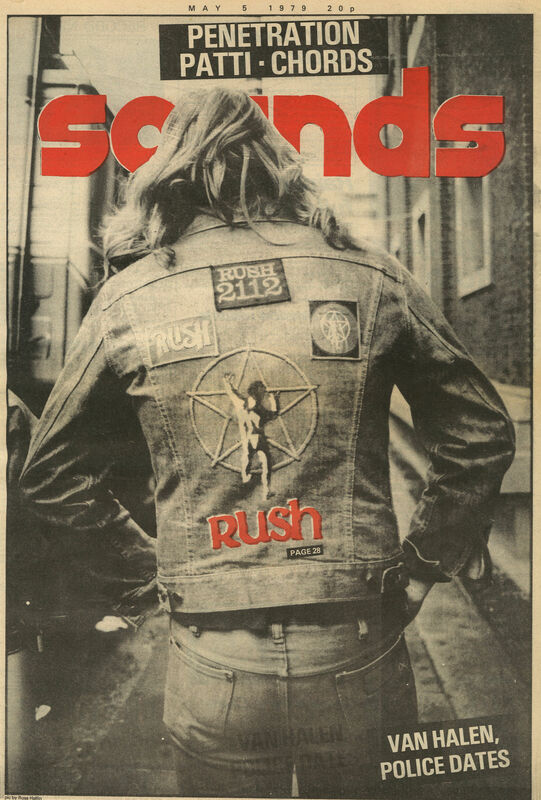 Sounds publish their annual year-end issue, which features a comprehensive round-up of NWOBHM bands. February 1980: Iron Maiden release their first single, ‘Runnin’ Free/Burning Ambition’. 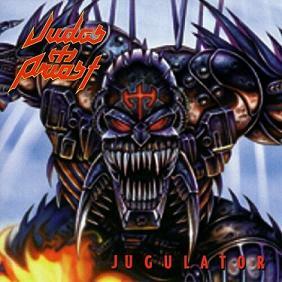 The sleeve art marks the first appearance of Eddie; the single peaks at #34. Neal Kay assembles a compilation of bands he has championed called ‘Metal for Muthas’; the album is released through EMI and features 2 Iron Maiden songs. Angel Witch, Samson, Praying Mantis, and others also appear. 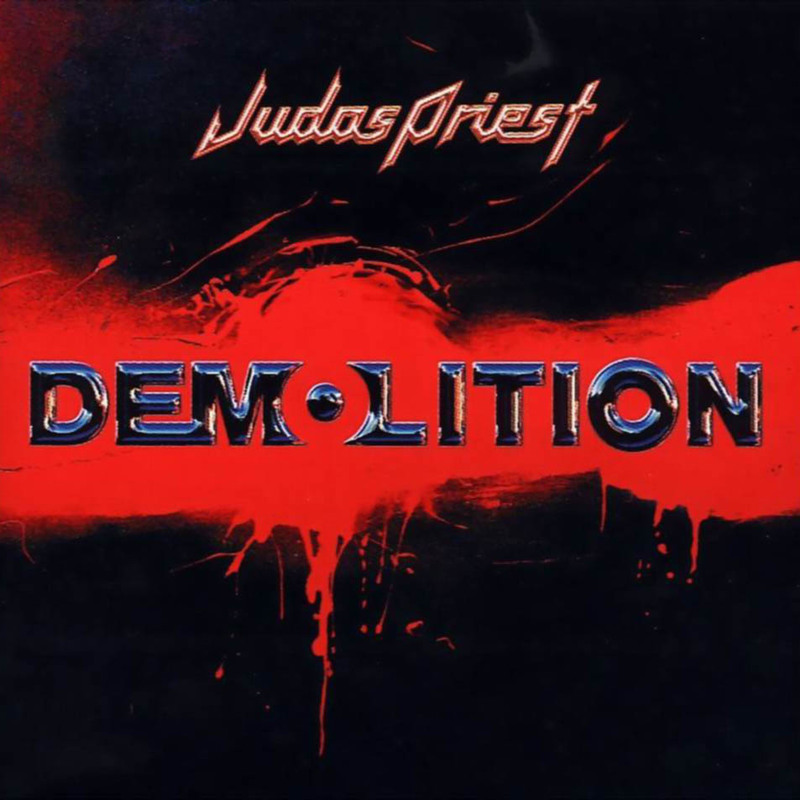 Several notable NWOBHM bands (Saxon, Tygers of Pan Tang, Def Leppard) are not featured on the record, as all are already signed to or in the process of signing deals with other labels. 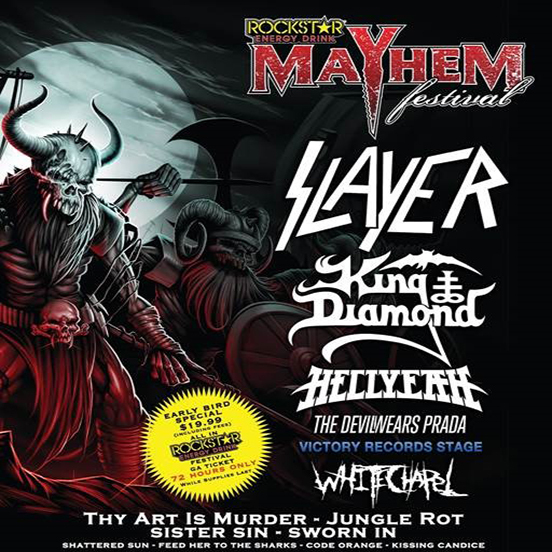 A 3-week ‘Metal for Muthas’ tour follows, featuring Maiden, Diamondhead, Praying Mantis, and Raven. Def Lep releases their second single, ‘Hello America’/Good Morning Freedom’. This one hits the Top 40 (#34). Iron Maiden support Judas Priest on the UK leg of their ‘British Steel’ tour. March 1980: Diamond Head releases their self-produced single ‘Shoot Out the Lights/Helpless’. Angel Witch record an in-studio session for the Friday Rock Show. Def Leppard release their debut album ‘On Through the Night’, on March 14, making Leppard the first NWOBHM band to release an album. The album debuts on the UK charts at #15. 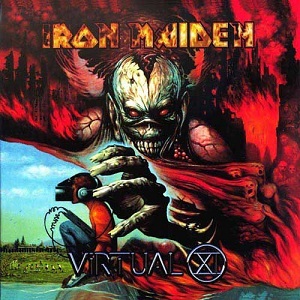 April 1980: Iron Maiden release their self-titles debut album; it enters the UK charts at #4. Heavy Metal was back with a vengeance. With two NWOBHM debuts in the UK Top 20, the inevitable major label feeding frenzy soon followed. Metal bands begin regularly appearing on BBC TV’s ‘Top of the Pops’. Sounds launched Kerrang!, a monthly magazine that covered only HM. The rising Metal tide lifted all boats, and stalwart bands like UFO, Judas Priest, Scorpions, Black Sabbath, and all 3 Deep Purple offshoots were rewarded with revitalized careers and Top Twenty albums. The magic lasted until around 1982, making the NWOBHM’s brief lifespan about as long as Punk’s. Metal had by then become mainstream in the UK, and several successful NWOBHM bands set their sights on the lucrative US market, where money changes everything. But that first year of the NWOBHM, from April of ’79 to April of ’80, when a new breed of Metalhead applied the DIY ethic and independent spirit of Punk rock to their own genre, was one of most important years in the history of the genre. It was the year that Heavy Metal was reborn. See? Punk Rock was good for something after all.